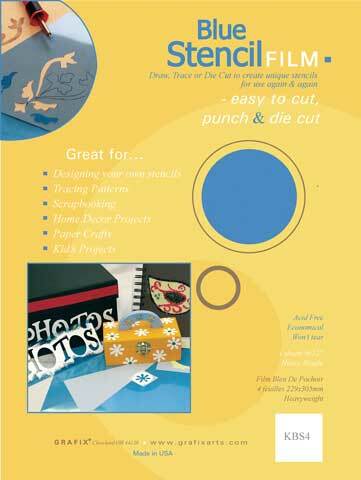 Create your own stencils and templates easily on this heavy-weight transparent blue film by simply drawing or tracing your design and then cutting out with scissors or a utility knife. It can also be used with punches, decorative scissors and die-cut machines. The easy to cut but durable non-tear mylar stands up to repeated use. There are four 9” x 12” sheets per pack.